Photo of the Week. 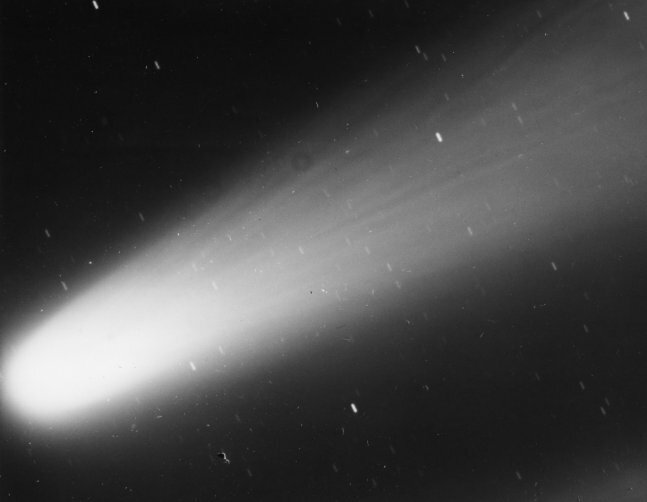 It's still not Comet ISON, but Comet Bennett of 1979 with its streaming dust tail. See full resolution. University of Illinois Prairie Observatory. Astronomy news for the two weeks starting Friday, November 22, 2013. The next Skylights will appear December 6, 2013. Happy Thanksgiving to all. 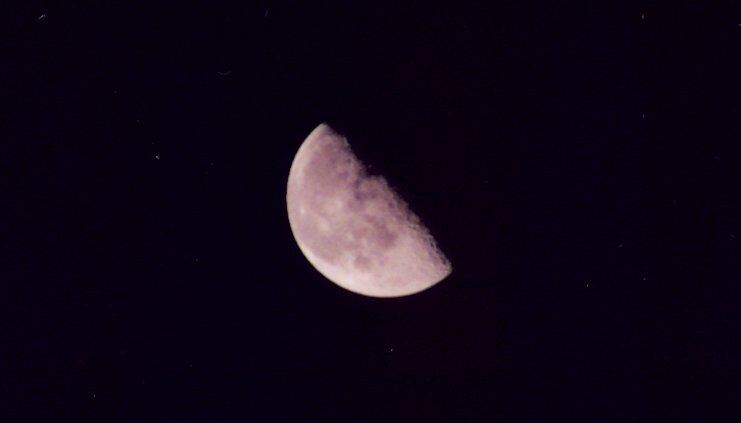 The Moon begins our fortnight in its late waning gibbous phase, which ends at third quarter on Monday, November 25. 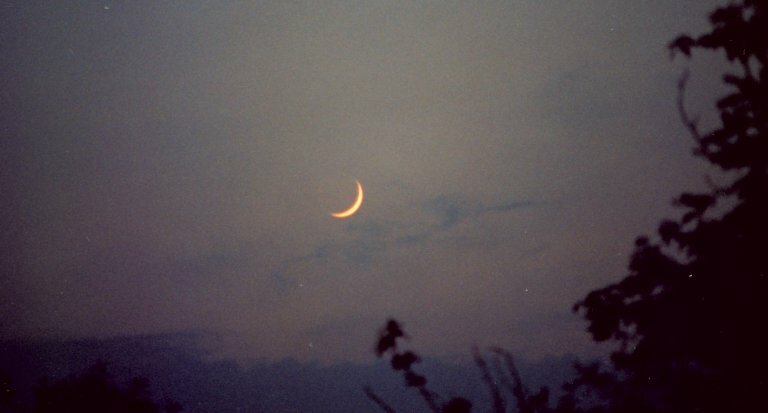 It then enters the waning crescent phase, which diminishes to new Moon a week later on Monday, December 2. 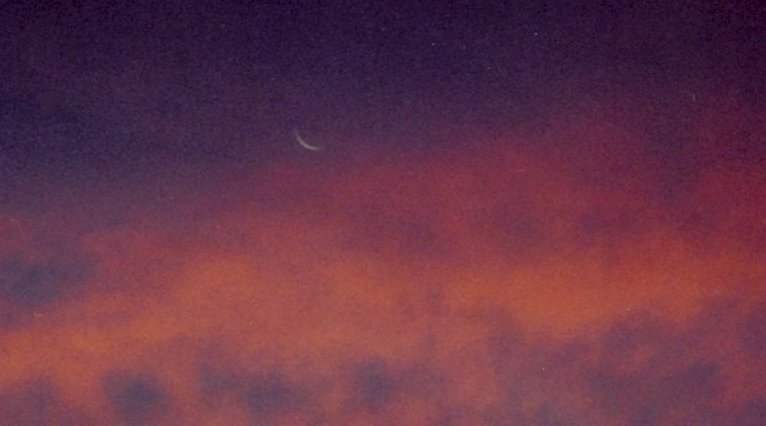 Your last view of the ultrathin crescent will be in twilight the morning of Sunday the 1st. 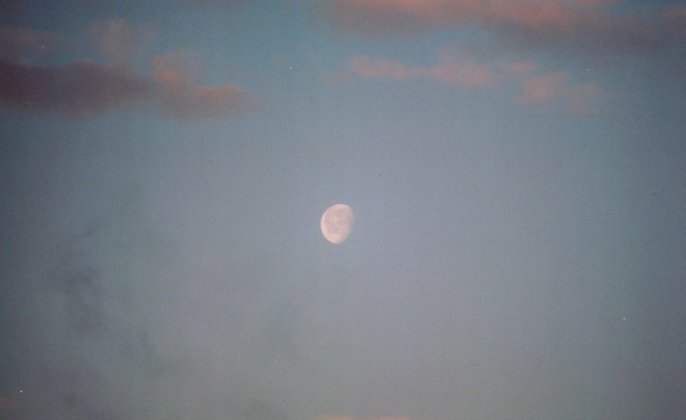 The Moon then switches sides, first appearing in western twilight as a waxing crescent the evening of Wednesday the 4th. The morning of Wednesday the 27th, look for the waning crescent to the southwest of Mars, then to the southeast of the planet the following morning. The waning crescent next appears just above Virgo's Spica the morning of Friday the 29th and then just below Saturn, between the ringed planet and Mercury, the morning of Sunday the 1st. 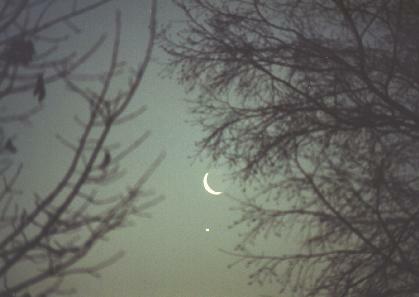 The Moon will appear up and to the right of brilliant Venus the evening of Thursday the 5th, then higher up and to the left of the planet the following night. Our companion passes apogee, where it is farthest from Earth, on Friday the 22nd, then perigee (closest to Earth) on Wednesday the 4th, the close alignment with new Moon helping to bring larger tides to the coasts. Dominating early evening, reaching greatest brilliance on Friday the 6th, Venus maintains a rather constant setting time of 7:30 PM, more than an hour after the end of twilight. About the time Venus sets in the southwest, Jupiter rises in the northeast in its usual position south of Gemini's Castor and Pollux. Then around 1 AM, as Jupiter is climbing the sky toward its meridian transit (about 3 AM), reddish Mars rises. Speeding along to the east against the starry background roughly south of Denebola, Mars passes from eastern Leo to western Virgo on Thursday the 28th. As our period begins, Mercury and Saturn rise at dawn, the two passing each other on Monday the 25th. Saturn, in Libra just northeast of Zubenelgenubi, thereafter rises in a dark sky. You might also be on the lookout for Comet ISON, which early in the fortnight mixes it up with Saturn and Mercury, rising later as it approaches the Sun on Thursday the 28th. Watch for it back in the morning sky rising ever earlier as December progresses, if in fact it can be seen at all. As the month changes from November to December, Cassiopeia rides nearly overhead in mid evening, with Andromeda and Pegasus to the south, its Great Square a bit west of the meridian. The Summer constellations, epitomized by Cygnus (the Swan) are moving out, while those of winter are moving in, Orion now crossing the meridian to the south shortly before midnight.